Painter of genre scenes, urban landscapes and animals. Carl Reichert was born on August 27, 1836 in Vienna and died on April 5, 1918 in Graz. He was the son of the portraitist and animal painter Heinrich Reichert, brother of theatre set designer Heinrich Reichert and nephew of the painters Bonifaz Heinrich and Franz Heinrich Reichert. He studied at the College of Design in Graz alongside Joseph Ernst Tunner and Ernst Christian Moser before going on to pursue his studies in Munich. He spent 1866 and 1867 in Rome, together with Ludwig Johannes Passini and Anton Romako. As a painter of genre scenes, he specialized in the representation of animals. Reichert worked in Vienna from 1869 to 1910, before ultimately settling in Graz. In 1874 he became a member of the Union of Viennese Artists. That same year he exhibited at the Künstlerhaus, built between 1865 and 1868 by the Austrian Society of Arts. 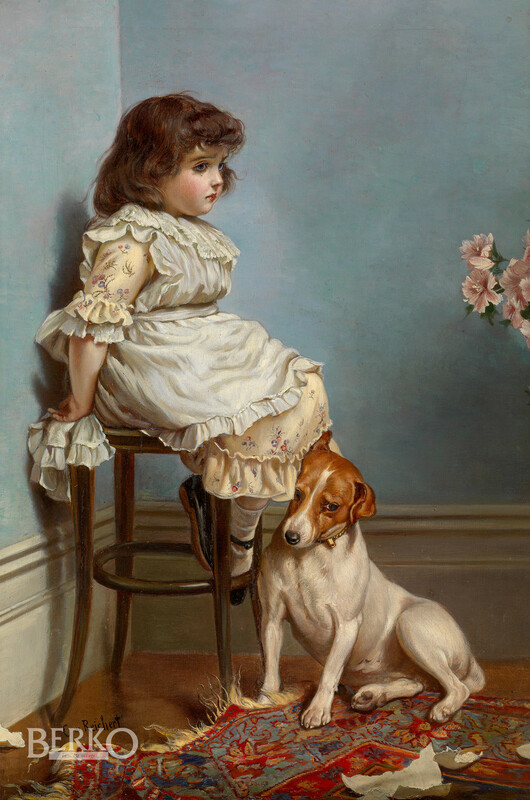 His remarkable portrayals of dogs contributed greatly to his fame. Reichert is noted for a series of engravings of the old quarter in Graz and, more especially, Graz Castle, executed around 1911. The Fine Arts Museum of Baden-Baden has a few of his works in its collection, but the majority of his paintings is to be found in private collections. E. Bénézit, "Dictionary of Artists", Paris 2006, Vol. 11, p. 812.